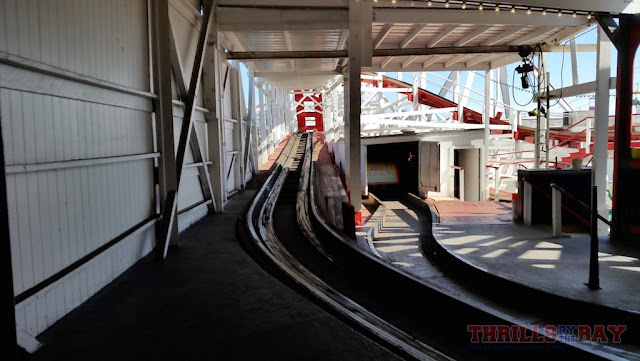 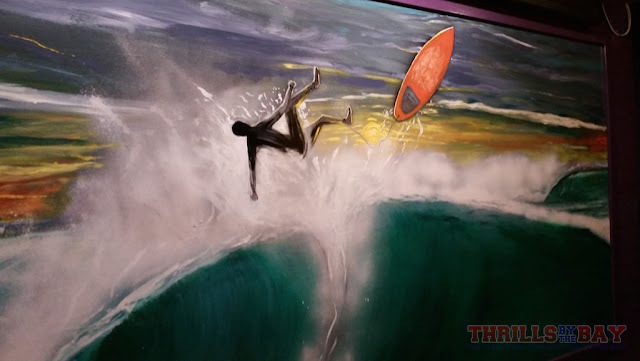 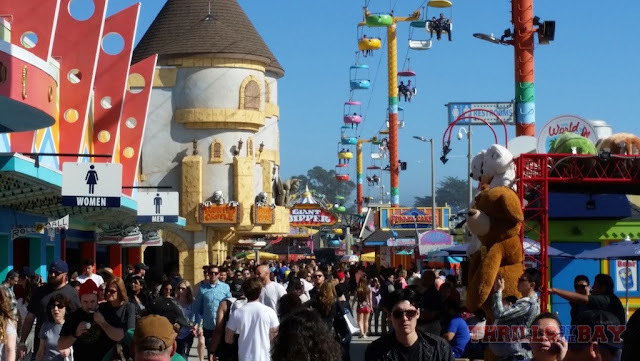 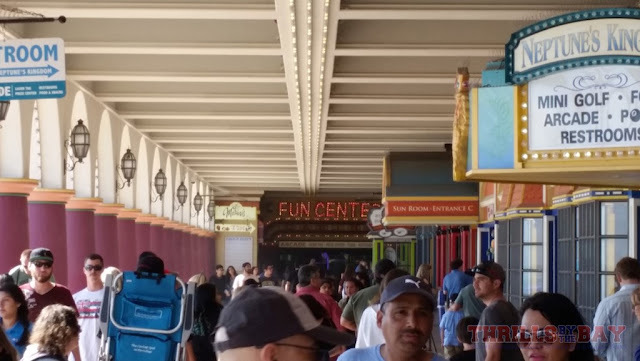 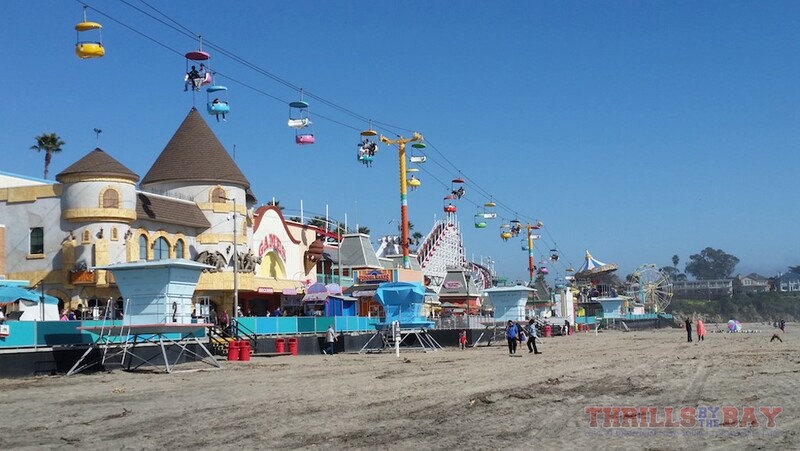 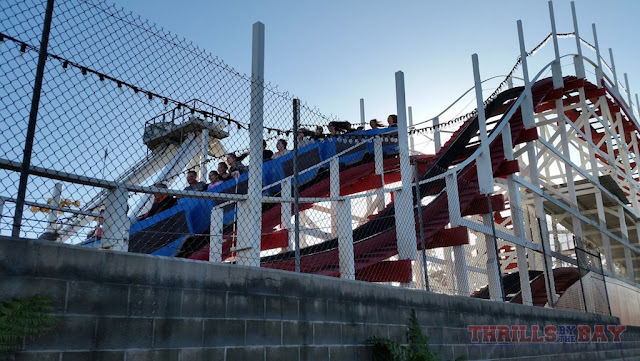 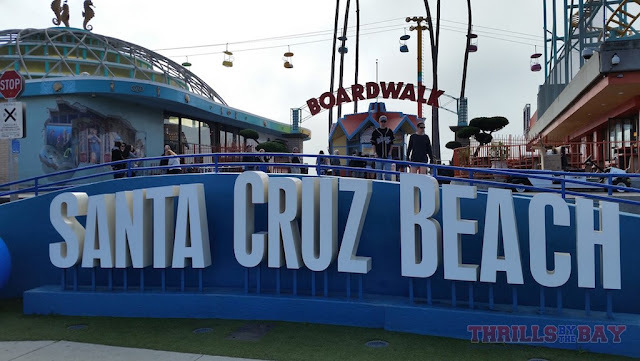 We’re here with an update from our most recent visit to Santa Cruz Beach Boardwalk! 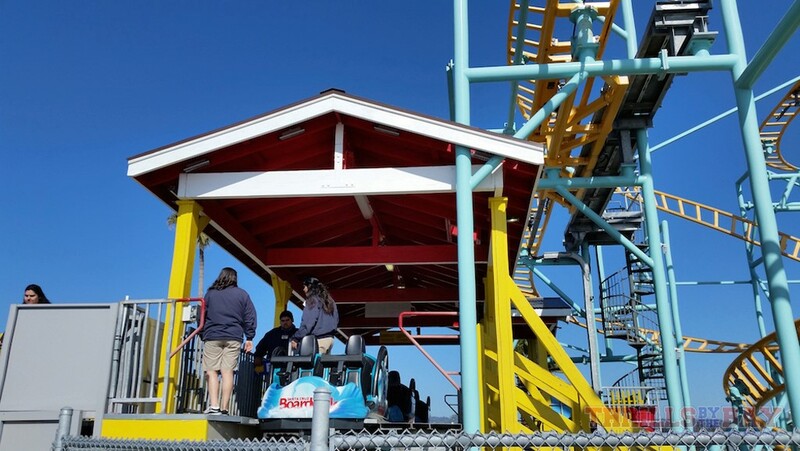 This visit was on the second weekend of February, 2016, which meant most rides were open with a few still closed for winter maintenance. 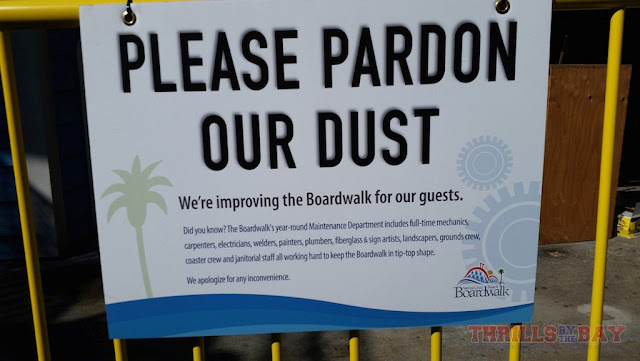 In this update, you’ll see many little changes that are happening, and it is all these little things added up that really make the boardwalk what it is: keeping things fresh and modern while preserving a rich history. Without further ado, here are the photos from this visit, enjoy! The first change that can now be seen is major: A complete overhaul of the parking system to a ticketed version. 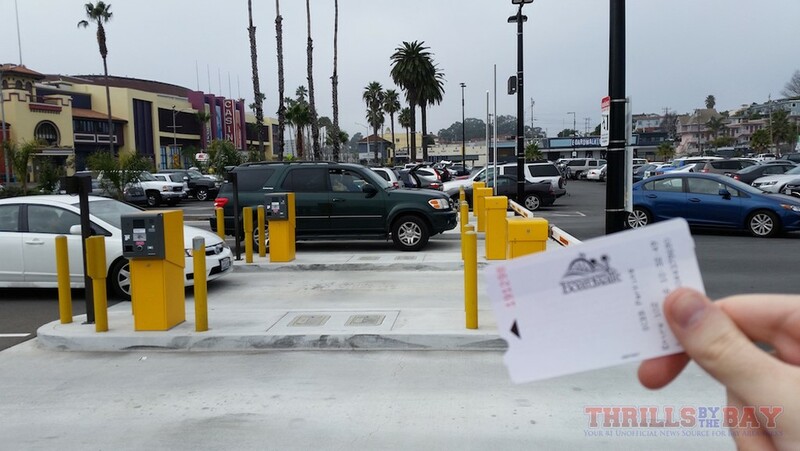 It works like any ticketed parking system. 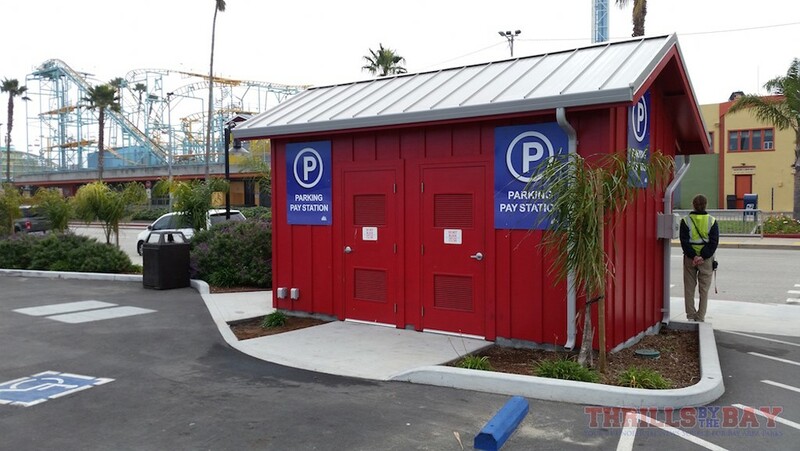 We were pleased to see the pay stations accept both cards and cash. 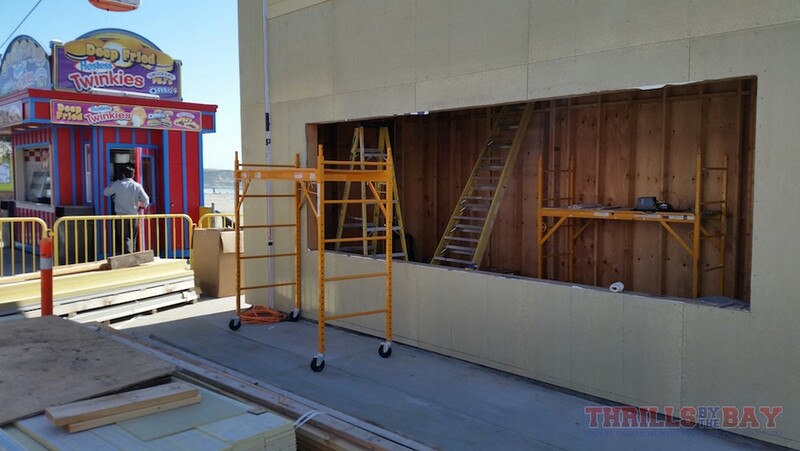 The entire process goes smoothly and does not appear to have any kinks. Now the parking has been taken care, of, it’s time to enter the park proper. 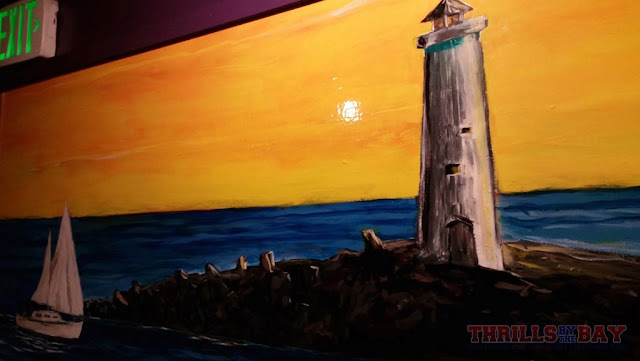 Undertow’s station has been repainted with a fitting set of colors. We recommend riding Haunted Castle early, if not first thing on busier days like President’s Day weekend. 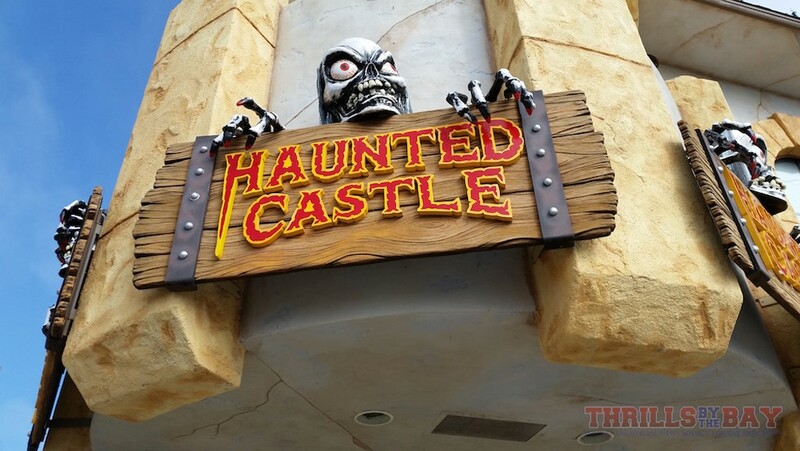 It’s a great dark ride, albeit with low capacity. 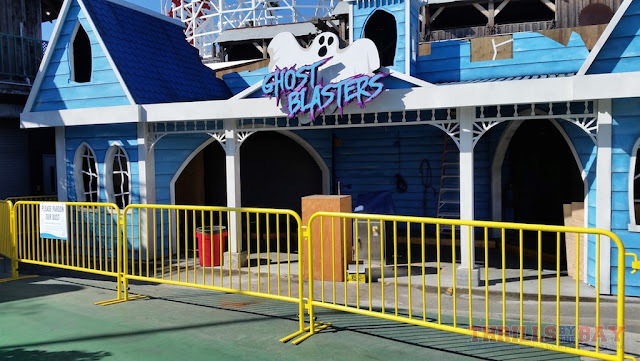 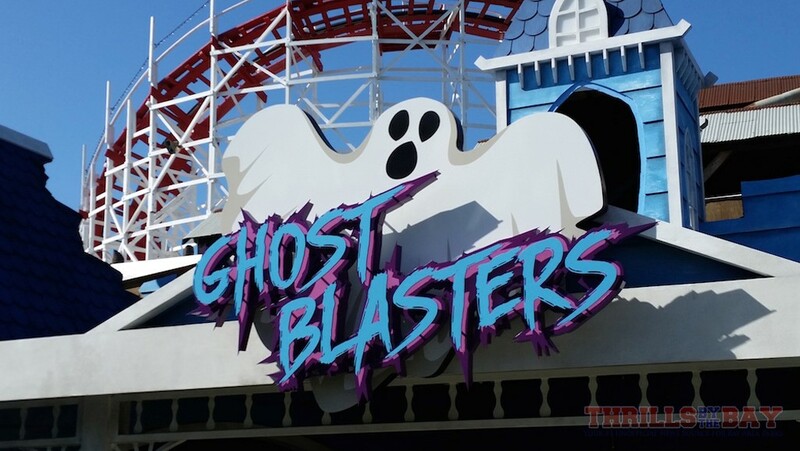 Speaking of dark rides, Ghost Blasters appears to be undergoing a major refurbishment. A reminder as to how committed the boardwalk is to maintaining rides. 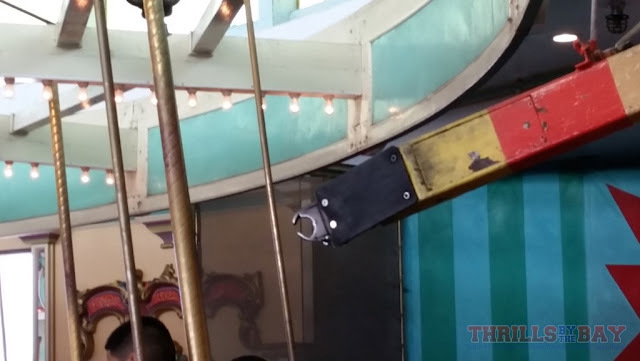 One of the best maintenance teams you’ll find in the amusement industry by far. 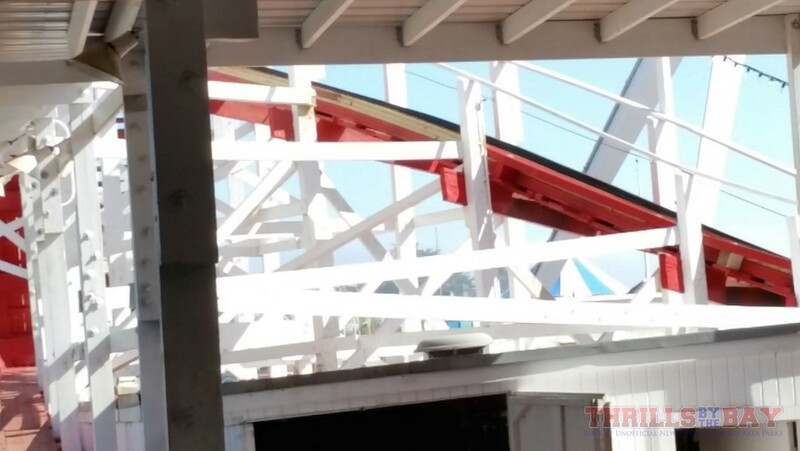 Here you can see work being done on the track. 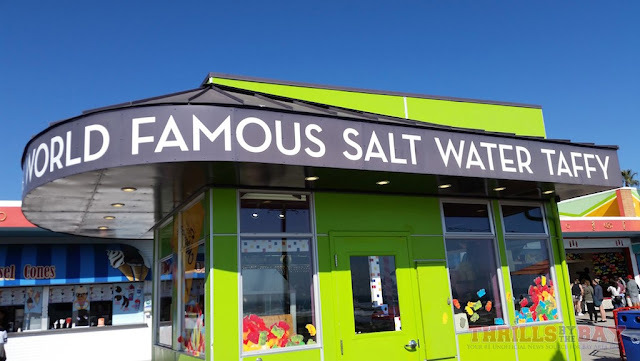 but if they are, then that should be cause for excitement. 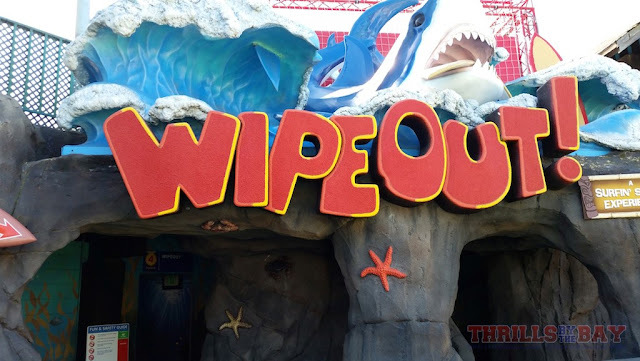 There have been major cosmetic upgrades to the queue for one of our favorite flat rides, Wipeout! 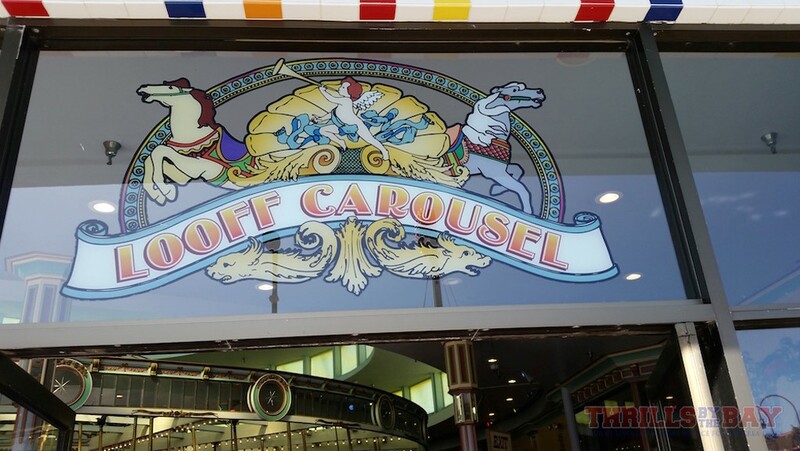 Beautiful new murals like this one have been painted in the queue. 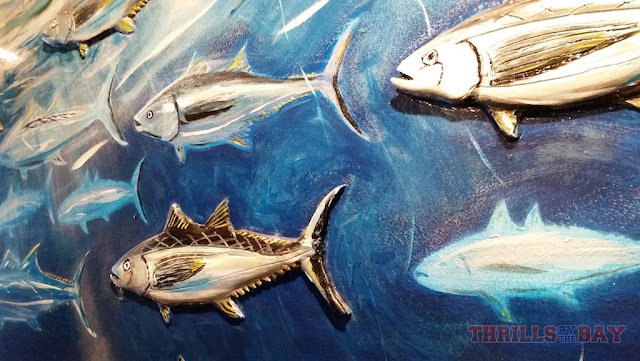 Particularly this one, the tuna have been sculpted to give the picture real physical depth. 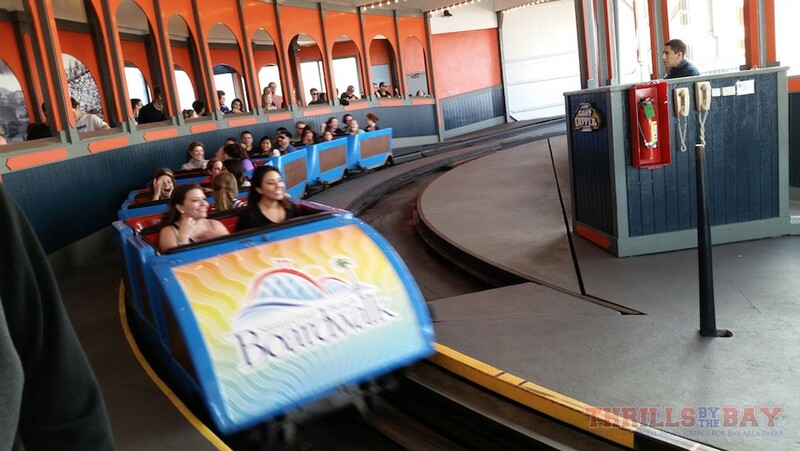 It’s hard to tell in this photo, but there’s a new light-music sync going on between cycles. Logger’s Revenge, the boardwalk’s Arrow log flume, is getting some TLC. 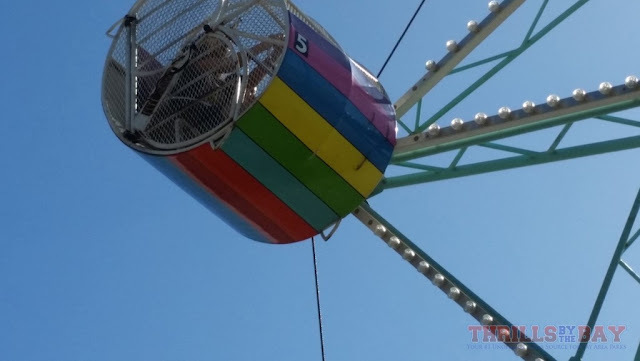 Over at Rock-O-Plane, capsule number 5 has been repainted into a rainbow scheme. This area formerly housed Tater Twist. It is being rebuilt into something new, what it is we do not know yet. 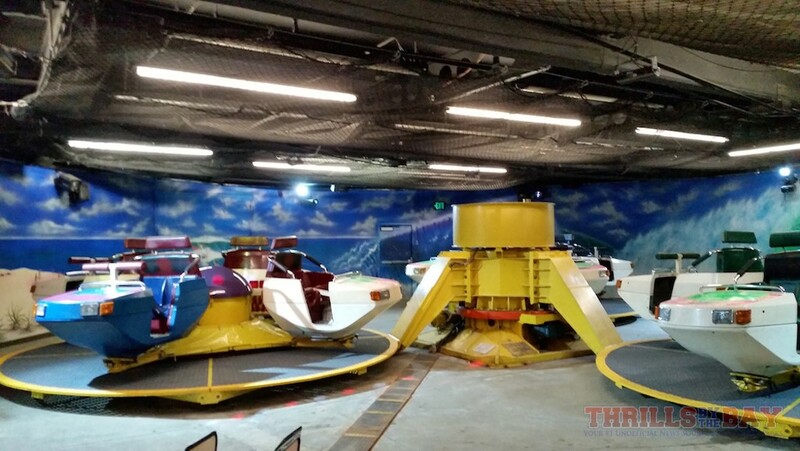 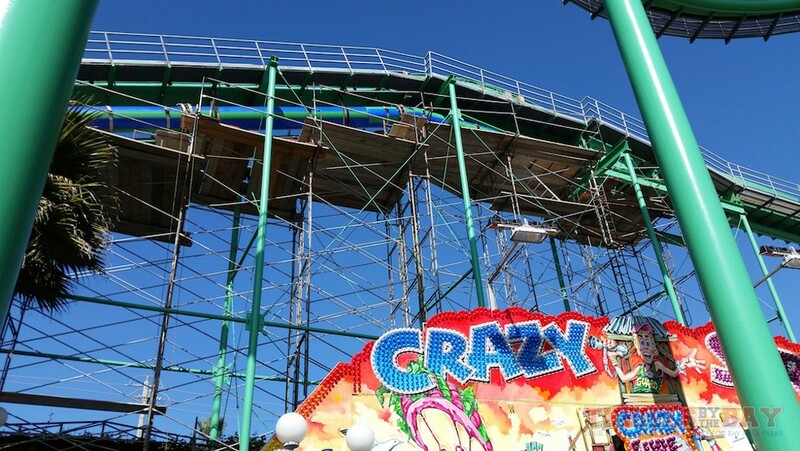 Of course, it wouldn’t be a boardwalk update without pictures of the signature rides, as well as atmosphere in general. 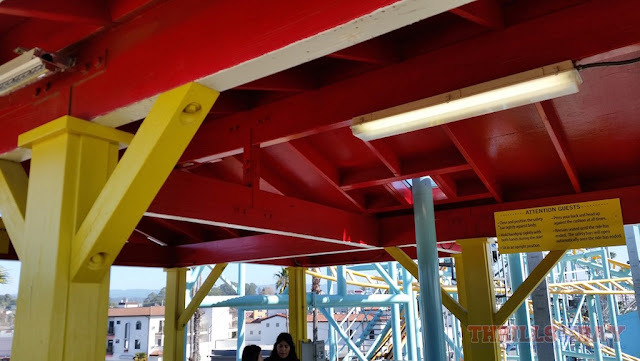 the other two being at Knoebels in Pennsylvania and Crescent Park in Rhode Island. 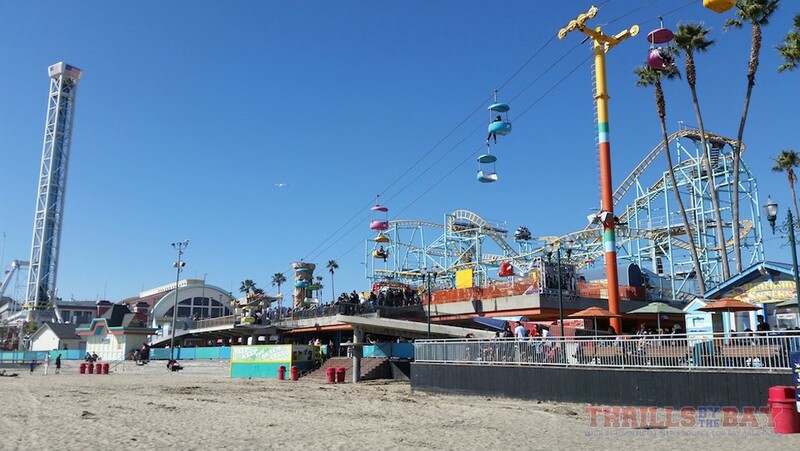 There is no bad angle you can get of the boardwalk from the beach. 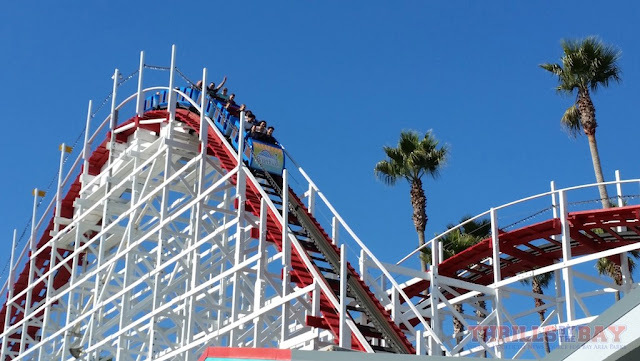 something unique that other parks can’t seem to accomplish. 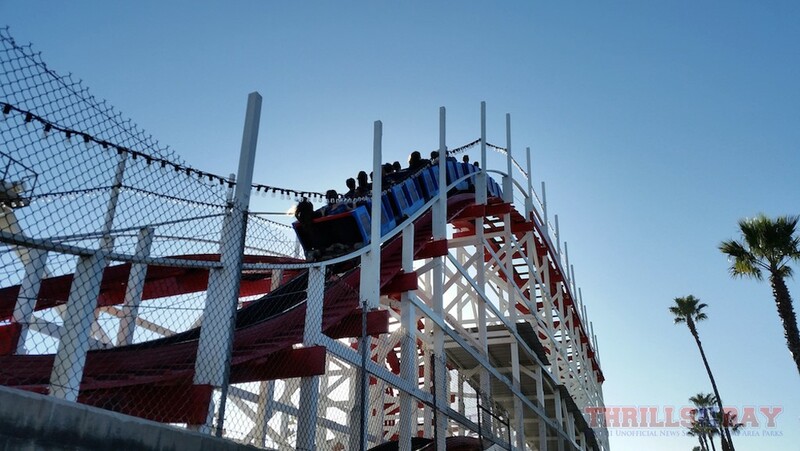 Last but not least, Giant Dipper pics! 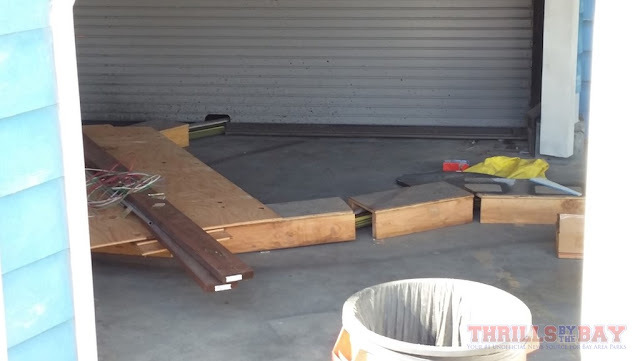 Here you can see some retracking has been done. We’ll conclude with some first drop love. 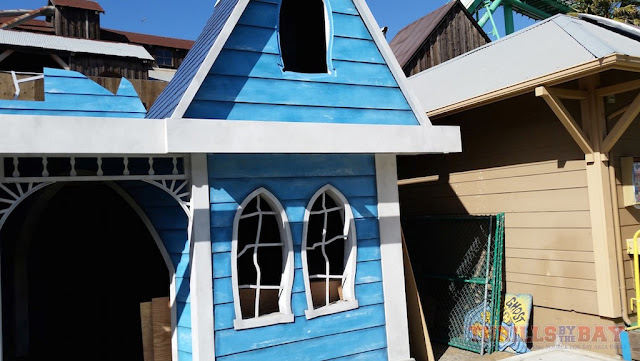 Thanks for reading, we hope you enjoyed this update!